Platinum could be an excellent addition to your portfolio. The 1 oz platinum bar is a superb way to acquire platinum bullion, offering a competitive premium over the spot price. 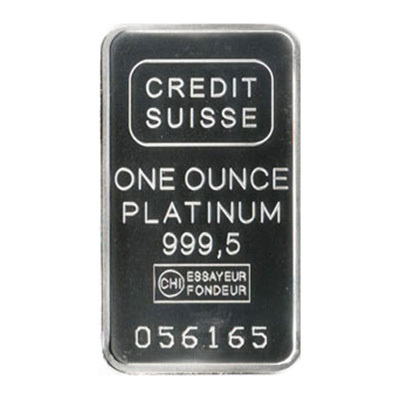 1 oz platinum bars have a 0.9995 purity, with each bar containing one troy ounce of Platinum. The Hard Assets Alliance selects its 1 oz platinum bars from trusted LBMA-accredited refiners, so investors can make their purchase with confidence. The actual brand and appearance may vary from the picture above. Platinum bars can be placed within a precious metals IRA. Diversify your investments with a 1 oz platinum bar today.